London Heathrow is investing £50 million to expand its use of facial biometrics throughout the airport, ahead of a full roll out by next summer. The idea is to use facial recognition technology, like that found on e-passport kiosks, throughout the airport so that passengers don't have to verify their identity multiple times as they pass through the terminal. So how is that £50 million being spent, what technology is underpinning this ambitious project and what are the security and privacy concerns that need to be addressed? First off the airport is keen to reiterate that it has been using facial recognition technology for biometric verification for the best part of a decade for domestic flights. "We take your facial biometric and match that at the boarding gate, so we already had a lot of experience of that system from our 4.5 million domestic passengers a year," Simon Wilcox, automation of the passenger journey programme lead at Heathrow Airport told Computerworld UK. "What we have done now is we have been looking at how to create a more seamless experience for all customers, to reach the point where your face is your travel token for bag drop, security and boarding." From the technology side this is mostly an integration problem to be solved. "There are suppliers who say they can provide that fully integrated system, but they aren't involved at Heathrow," Wilcox said. 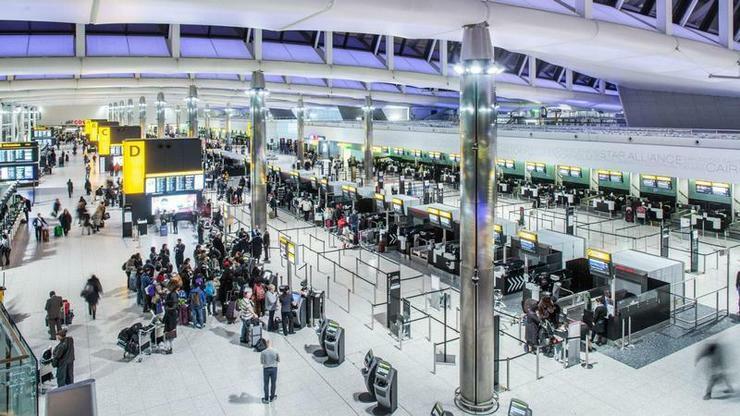 Instead, Heathrow is looking to integrate facial recognition "into an existing operation, so using those suppliers we have at bag drop or at kiosks or gates. That existing infrastructure means we have to integrate and get the most of what we already have." "There isn't one technology that solves it, it's about how do you bring together multiple technologies and multiple sector data to ensure that security is maintained for passengers," Heathrow CIO Stuart Birrell told our sister publication CIO UK. The timeline is to have everything working for passengers by the summer of 2019. "We have over the last 12-18 months been doing individual testing and separately deploying self service bag drops and security gates and will continue to do that in parallel," Wilcox said. "The next area is to knit those trials together for an end-to-end process." If the system goes down for whatever reason, or comes up against a tricky circumstance such as identical twins or a mother carrying a child, staff will fall back on the traditional process of manual identity checks. Naturally the use of facial recognition technology brings questions around privacy and consent. "Passengers deserve to know whether airport facial recognition will be optional or not, who processes our face IDs , where they are stored and who they might be shared with," Silkie Carlo, director of Big Brother Watch said. "So-called "faceprints" are highly sensitive data that uniquely identify us, much like fingerprints and DNA. It will be important for people to know how their Face IDs will be handled and by which companies." Touching on this point, Birrell told CIO UK: "We're very conscious of the GDPR and privacy discussions, and whatever we do has to be done in conjunction with government and the public's consent. If the public don't want it and don't accept it we can't do it. So there's a balance to be had." The lack of implicit consent is an issue, and facial recognition and biometrics are traditionally under-regulated areas. Wilcox believes that customers are more than willing to make the trade off in exchange for greater convenience however. "We aren't asking passengers for any more information than they provide today. A passport has your photo in it, so we just want to make it a more seamless experience than constantly showing that," he said. "We live in a more digital society and people are more ready to share their information for the sake of ease and convenience. If they don't want to consent, or be processed in that system, they have that choice. "Through the tests we have done so far we have built consent and privacy into our process and as the trials proceed we will start to get some learning and feedback from passengers on a larger scale," he added.